When it comes to Butterball Oil Less Turkey Fryer, there are number of features worth mentioning. First of all, it’s an oil less fryer. We can all agree that cooking in large quantities of oil is expensive, messy, and most importantly not good for your health. Although cooking without oil may sound impossible, it’s definitely not. 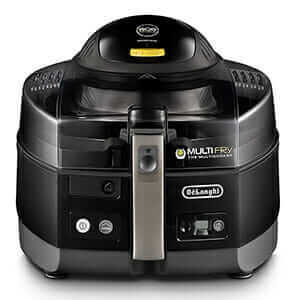 If you want to eat healtier but can’t give up on delicious foods such as fried food, Butterball Oil Less Turkey Fryer is what you need. No matter how hard you try to make healthy eatin﻿﻿g choices it’s hard to stay on track. Although nowadays, we all try to pay a little more attention to our diet and calories intake. Futhermore, cooking in your regular oven will take a lot of your time and requires constant attention. Why spend a lot of time in kitchen when you can enjoy with your friends and family? If you’re someone who loves fried meat but wants to enjoy it with no ricks, let us tell you why Oil Less Turkey Fryer is perfect for you. How To Cook A Turkey With Butterball? How Long To Deep Fry A Turkey Breast? Oil less turkey fryer, like Char Broil, uses radiant heat that makes the exterior crisp while sealing in all the juices. Infrared technology allows you to have tasty but healthy meat. That means you can still have your turkey moist and its skin crisp but with less calories. Not only turkey, but also, oil less fryer is a great cooker for lamb shoulders, ham, pork, chicken, prime rib and other beef roasts. Following the cooking process won’t give you any problems, either. Tampered glass lid makes it easy to follow the cooking process without having to open the cooker. You can watch your turkey becoming roasted, golden brown specialty without opening the lid. Another feature that makes this turkey fryer an excellent choice is no need for gas or propane tank since it’s completely electric. 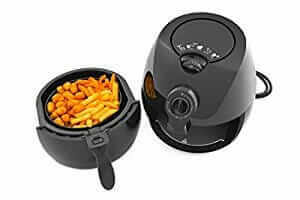 Butterball Oil Less Turkey Fryer has a powerful 1650-Watt electric element that cooks your foods quickly and evenly. Standard oven will roast unstuffed turkey of 18lbs in longer than 4 hours. Imagine hosting a large party outdoors and always having to go back inside to check on your turkey. Also, it’s not very convenient to have your oven on for 4 hours during summer time. We’re sure nobody likes that. Instead, you can roast your turkey outside with an electric turkey fryer. If you have a chance to get easy cooking experience and healthy foods all in one turkey fryer why wouldn’t you? If you’re also a fan of smoked meat you will love oil less turkey fryer. It comes with a built in wood chip pan which provides that satisfactory s﻿﻿m﻿﻿oky flavo﻿﻿r. All you need to do is simply add your wood chip of choice such as hickory for pungent, smoky flavor, or mesquite for sweet and delicate flavor. So, you’re not only getting healthy, roasted meat, but you have the option to smoke it as well in very few steps.You can read the complete wood flavor guide for meats in user guide that comes with the turkey fryer. One of the most important things to look for in a turkey fryer is large capacity. If you have a big family you will often want to roast whole turkey or other large foods. Oil less turkey fryer with maximum capacity :18 pound turkey. What it is that you’re getting with oil less fryer? You will find everything you need in this turkey fryer. Using the thermostat temperature control you can’t go wrong in cooking temperature. Another thing making a whole process a lot easier is turkey stand. It holds your turkey upright for better crisping and no net marks on the skin. Also, the stand, basket, lid and cooking rack are dishwasher safe. As for replacement parts, most parts can be replaced if needed. Contacting the manufacturer is the best way to go. Call customer service for assembly assistance, missing or damaged parts, etc. Pros above clearly show why you should forget your standard oven. We’re sure that wouldn’t be very hard with the right turkey fryer. Of course, there are cons but they’re not deceive and are minor. Like with every char broil fryer warranty is 90 days. We know it’s rather unusual for a turkey fryer to use no oil but still deliver fantastic results. With that being said,it’s only normal for you to have some insecurities about purchasing it. 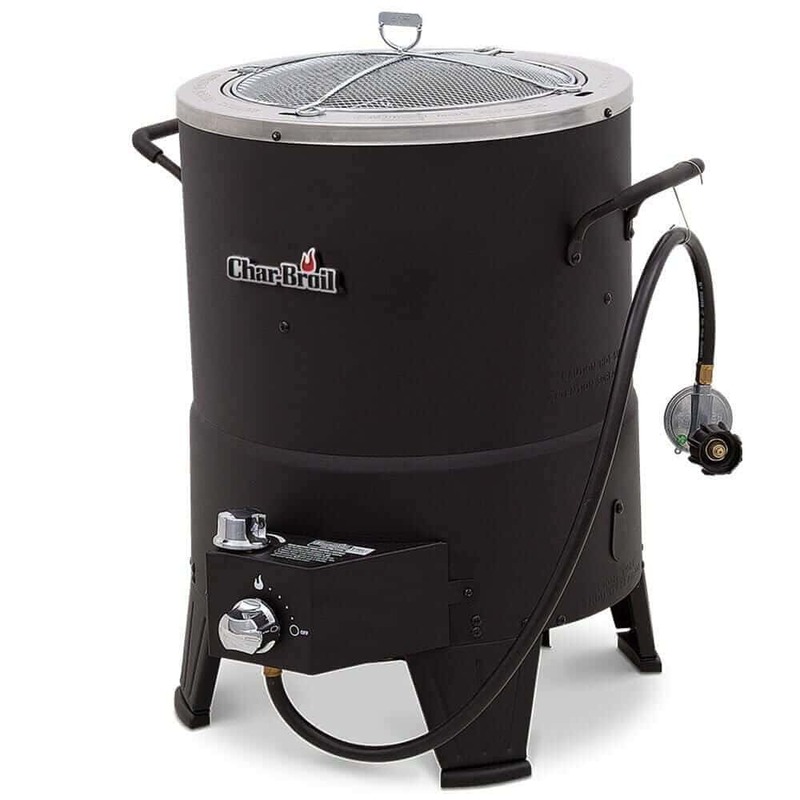 Oil Less Turkey Fryers﻿: ﻿﻿﻿﻿Char-Broil The Big Easy vs. Butterball Oil Less Turkey Fryer﻿﻿﻿﻿﻿﻿﻿﻿. Check out these FAQ’s and we’re sure you’ll find information you need. Cooking a turkey with oil less turkey fryer is very easy. Follow these steps to juicy and crisp turkey. Through more detailed instructors are in the user guide you can still see how easy-to-use this turkey fryer is. We do recommend using Butterball turkey for best results. However, if you have other brand turkey simply make sure to remove the pop-up cooking indicator and leg ties. Butterball Oil Less Turkey Fryer can roast wide variety of meats. That means you can be innovative with what you’ll cook. Simply, stick to the basic guidelines and you’ll have healthier versions of your favorite meals. We’re sure that by now you already have few ideas on your mind. 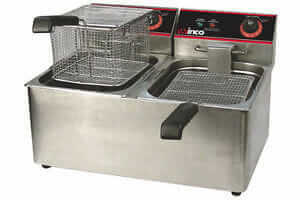 Oil less fryer cooks anything from fish, egg dishes, pork, beef, lamb, and of course, whole poultry like turkey, chicken or duck. 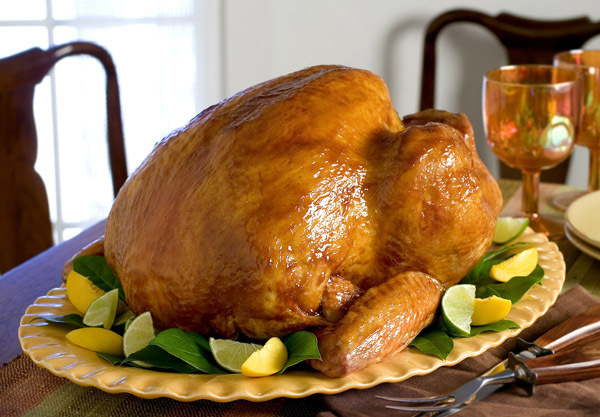 So far we’ve covered all information you need to know about Butterball Oil Less Turkey Fryer. Once you find the right turkey fryer nothing else will matter in terms of cooking. However, another important thing that speaks about the quality of this cooker are remarkable customer reviews and ratings. Nothing speaks truth about turkey fryer better than the people who have used it. As you guessed, the remarkable taste of food is what’s praised the most. Based on many reviews, amazing crispiness on the outside and tenderness on the inside are easily achieved. Most of the people love how easy it is to clean as well. However, like with every k﻿﻿itchen appliance﻿﻿s, you can also find several low ratings. In these cases, the ratings are rarely fair. For example, some ranked it low because they thought that it cooks as fast as deep fat turkey fryer or they didn’t realize it’s for outdoors only. Now you see why we call them unfair. Most of those people probably didn’t read the product description prior purchase which led to misunderstanding. In addition, almost all of those reviews are more than 4 years old. It seems like all who have tried the oil less fryer can confirm to you that they’ve never experienced such taste in healthy food. Other than that, people also spoke about how easy it is to use, to clean, no need for gas or constant attention, and many more. Finally, all its good ratings and reviews include positive feedback on the overall experience. In the case of Butterball Oil Less Turkey Fryer the rating is 4.4 out of 5 stars.It’s not surprising when it comes to a turkey fryer that really has it all. If you’re looking for a turkey fryer to deliver amazing taste without oil, you may have found one. 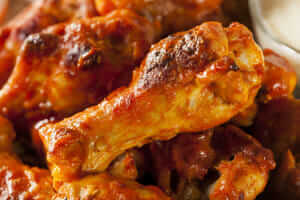 Perhaps you’ve been postponing healthier diet because you’re unable to say no to fried food. Maybe you’re simply unable to give up that delicious crisp and tenderness we all love. Finally, you won’t need to. Butterball Oil Less Turkey Fryer will serve you with turkey just how you like it while using no oil. That means you’d never have to worry about health and diet again. With oil less turkey fryer you can join your friends and family while your turkey is being cooked. That’s right! No more spending the entire time by your oven. In addition, it leaves your oven free for preparing other meals. Have you ever tried frying turkey without oil? What is your opinion on the taste of food prepared that way? Do you have any previous experience with char broil oil less fryer? Please, feel free to share your comment in the section down below.